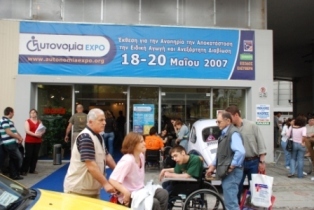 MK Prosopsis attended Autonomia EXPO 2007 in Athens, Greece. We had the opportunity to view the latest assistive technology and try them out ourselves. We have established new co-operations with Greek companies and expanded the range of products to represent in the Cyprus market.